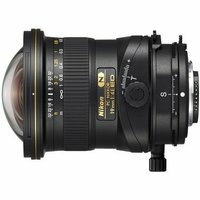 The Nikon 19mm f4E ED Nikkor lens is a FX-format Perspective Control (PC) lens with the shortest focal length in the PC Nikkor series lenses. Ideal for shooting architecture and interiors, it achieves superior resolution and detailed images without aberrations or distortion. The tilt and shift elements can be engaged both individually, and in combination, giving photographers complete control.